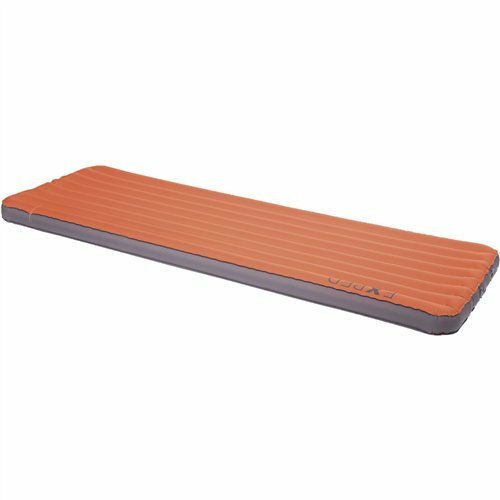 The worlds lightest, warmest and most comfortable mat in its category is also super compact when stowed! Designed as a mat for two but luxurious as a mat for one. Two separate halves with separate combination valves - individual firmness for each sleeper. This is also an added safety measure in case a leak happens. Next-to-skin comfort and anti-slip GripSkin honeycomb-pattern coating. Laminate is air tight and impervious to hydrolysis. Clever Pumpsack included: The Schnozzel Pumpbag allows you to inflate the mat rapidly while preventing humidity from your breath affecting the insulation. It doubles as an ultra lightweight compression stuffsack. Proven FlatValve Technology: separate inflation and deflation valves, non protruding and more durable than traditional valves. The award-winning SynMat 7 is Exped's "reference standard" mat. Great comfort, warm enough for winter, durable, compact and proven. If you own one mat for everything, from car camping to mountaineering to long distance hiking, this is it. The SynMat HL is the worlds lightest mat at its warmth and comfort levels! It packs to an extremely small size and its tapered profile fits into the smallest tents. Tapered design and 20 denier fabric for weight reduction, microfiber insulation for 3-season warmth and 7cm thickness for comfort. This mat proves that comfort and warmth need not be sacrificed in pursuit of super light packing. Next-to-skin comfort and anti-slip GripSkin honeycomb-pattern coating. Laminate is air tight and impervious to hydrolysis. 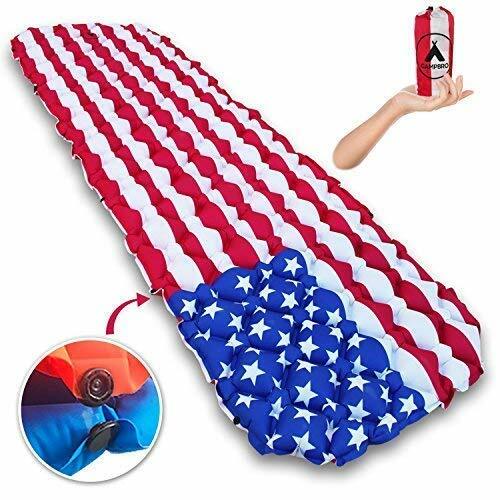 Clever Pumpsack included: The Schnozzel Pumpbag allows you to inflate the mat rapidly while preventing humidity from your breath affecting the insulation. It also doubles as an ultra lightweight compression stuffsack. The ultralight and super compact mat that offers warmth and comfort. Next-to-skin comfort and anti-slip GripSkin honeycomb-pattern coating. Laminate is air tight and impervious to hydrolysis. Clever Pumpsack included: The Schnozzel Pumpbag allows you to inflate the mat instantly while preventing humidity from your breath affecting the insulation. It also doubles as an ultra lightweight compression stuffsack. Proven FlatValve Technology: separate inflation and deflation valves, non protruding and more durable than traditional valves. 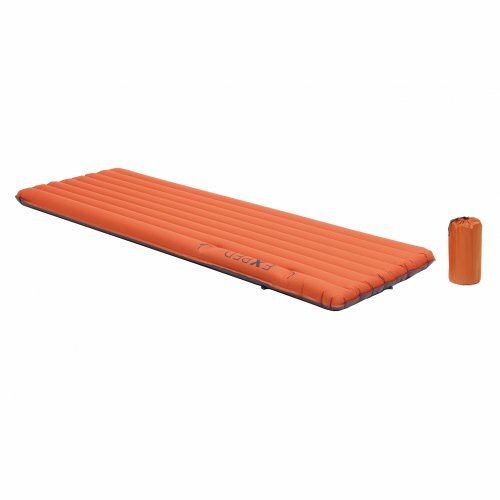 The versatile SynMat XP 7 is Exped's award-winning Synmat 7 with a rapid-inflating pumpbag that doubles as a drybag. Great comfort, warm enough for winter, durable, compact and proven. If you own one mat for everything, from car camping to mountaineering to long distance hiking, this is it. Warm, comfortable, compact and affordable. The reference standard in mats. Includes repair kit. 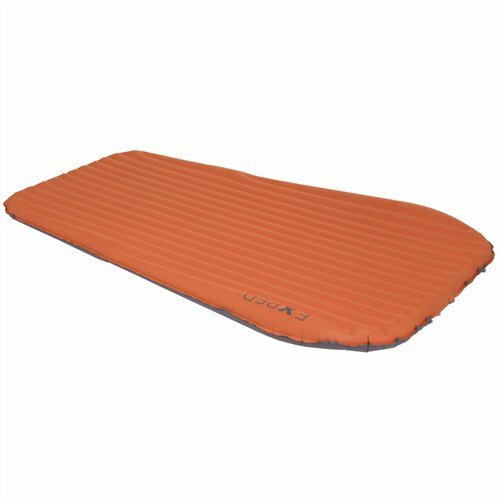 The versatile SynMat 3-D 7 is Exped's award-winning mat with upgraded vertical sidewalls for a flatter, edge-to-edge sleeping surface. Great comfort, warm enough for winter, durable, compact and proven. If you own one mat for everything, from car camping to long distance hiking, this is it. One pad built for two people. Sleep comfortably all night long! 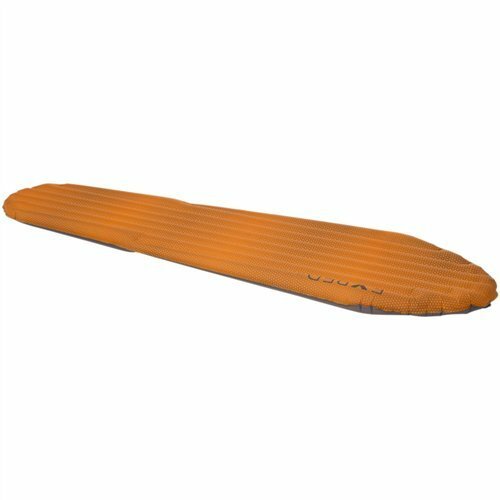 Stansport Packlite Foam Sleeping Pad - Blue - 19" x 72"
Shopping Results for "Synmat Sleeping Pad"